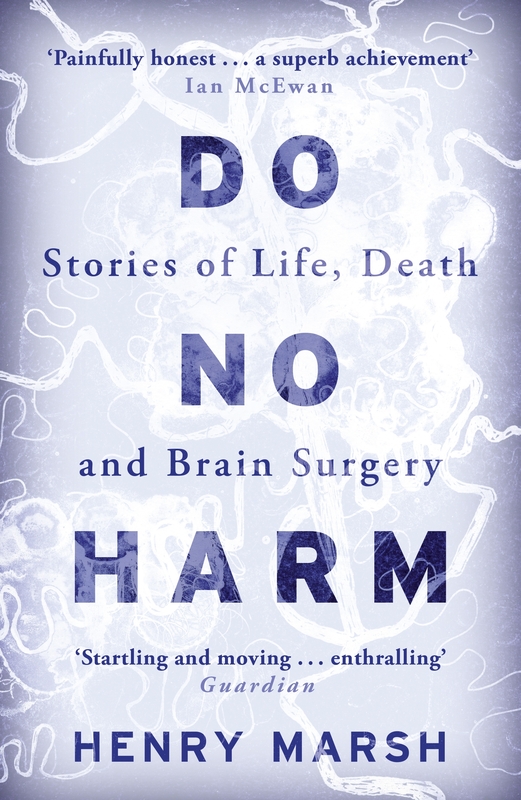 Do No Harm by neurosurgeon Henry Marsh is a truly magical read. This candid, blunt and often painfully amusing collection of tales about neurosurgical procedures that went well against the odds, that went catastrophically wrong when it really should have been plain sailing, drives home how tough being a neurosurgeon really is. Several passages describe what it’s like to carefully navigate the nervous tissue packed tightly inside a person’s skull so beautifully that it verged on the poetic. Others, conveying the profound guilt associated with the realisation that an inadvertently nicked blood vessel would ultimately leave the patient permanently paralysed for the rest of their life, were so honest as to be emotionally brutalising. And as for the how the changes in the NHS have impacted on the profession of neurosurgery, not to mention the Catch 22 of how do develop surgical skills when no one wants to be operated on by a novice, it generates tremendous empathy for those brave young souls embarking from scratch on this hugely challenging career path in a totally new era. Do No Harm really struck a chord with me on a personal level. During my teens I was always torn between a career in medicine and my scientific calling. Friends’ parents often commented that I would make a brilliant doctor and my best friend’s father, who spent most of his career as head of immunology at St Thomas’s Hospital in London, urged me on numerous occasions to take the medical route and then branch out into research later. Deep down however I lacked the courage to accept the inevitable mistakes that might lead to catastrophe for my patients. I had watched far too many episodes of the 90’s medical drama series Casualty. This excellent series may well have inspired thousands of Brits to pursue careers in medicine, but for me, it instead made me acutely aware that unnecessary deaths were an unavoidable consequence of practicing medicine. I realised that errors of judgement could spell disaster at any moment and I knew deep down that these would inevitably weigh heavily on my conscience. So I chose to pursue neuroscience instead of medicine. 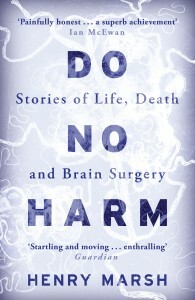 The first few chapters of Do No Harm brought tears to my eyes on more than one occasion because the tales being told were not works of fiction, but instead the autobiographical real-life experiences of an extraordinarily honest man, brave enough not only to build a career in surgery but also to give equal voice to both his successes and failures. This is an excellent book. Not only will you find it very rewarding but it might just make you realise how lucky we Brits are to have people like Henry Marsh in our beloved National Health Service. In addition to these monthly blog postings I tweet about interesting brain-related articles in the press on a daily basis. You can follow me by clicking here. I also do a weekly science podcast called Geek Chic’s Weird Science which you can download for free from iTunes or alternatively, if you’re not an iPhone or iPad user, you can download/stream it from a variety of online sources such as Podbay, Libsyn, and PodcastChart, amongst others!